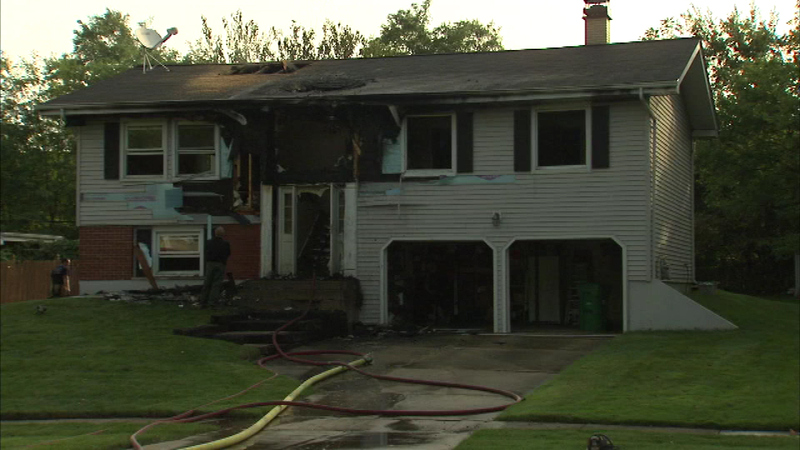 UNINCORPORATED LOMBARD, Ill. (WLS) -- Investigators do not know how a fire started at a home in unincorporated Lombard Tuesday morning. The fire started just before 8 a.m. on Colonial Lane. When firefighters arrived they say they saw flames shooting through the roof. Investigators say the blaze started in the attic and quickly spread. No was home at the time. One firefighter was treated for a minor burn and a sheriff's deputy was checked out for minor smoke inhalation.